Welcome to 24 Seven's Techfluence Event Series! Throughout the year, 24 Seven hosts nationwide events as part of our Techfluence series. The events focus on high value content for executives to stay current on industries that do not require continuing education while fostering rich communities for our partners nationwide. Our goal for this series is to provide industry executives, investors, and entrepreneurs alike with new resources and knowledge of varying subjects, as well as an incredible opportunity to network. Sponsors and partners include, Trendseeder, Optimove, Belvedere, Black Barn, OneHope Wines and Pernod Ricard. 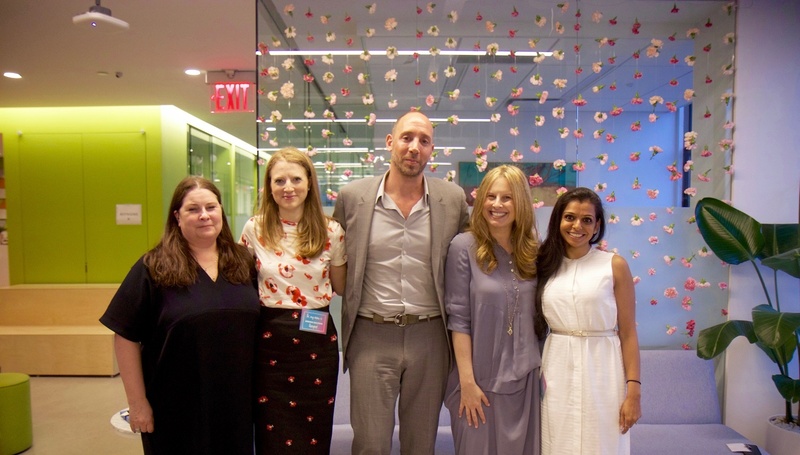 “Beauty & Innovation: The Rise of the New Beauty Industry” was hosted in our new home at 41 Madison Ave in partnership with Trendseeder and Davis & Gilbert. 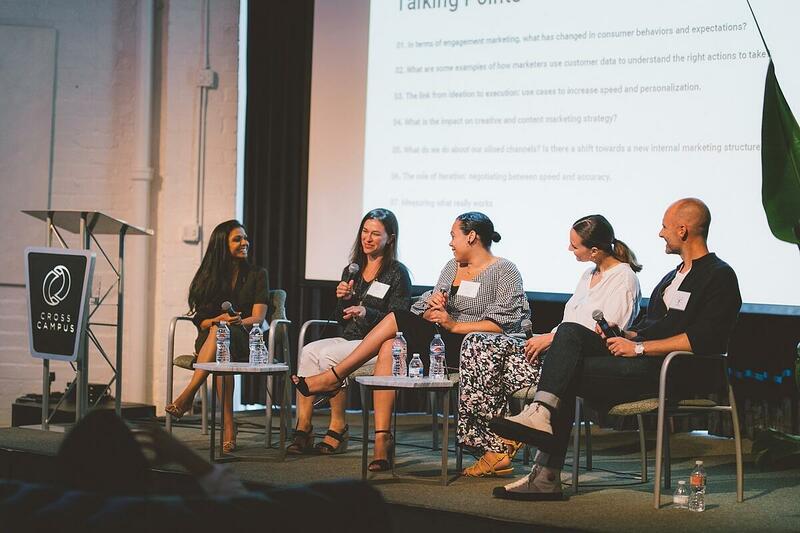 Our panelists included beauty experts from Refinery 29, MILK Makeup, Tribe Dynamics, IT Cosmetics, and Credo Beauty and their vast experiences and industries made for a very interesting and dynamic conversation, moderated by Trendseeder. Click here to read more! At the end of February, we hosted an incredible panel of speakers at our NYC HQ to discuss the changes happening in the retail industry in partnership with Trendseeder and Davis & Gilbert. Panelists included executives from Westfield WTC, The New Stand and Mother NY, Activant Capital, and INTERMIX. The conversation included how Amazon has changed the retail game, how to utilize the fear of missing out in marketing strategies and activations, got down to what the customer really wants out of their retail experience, and what the future of retail will look like. Click here for more on the event! 24 Seven hosted a Techfluence panel focused on the "Profile of the New Consumer" as it relates to the fashion industry. Panelists included: Paul Blum, former CEO of Henri Bendel, Javier Fernandez, GTM Retail Strategy Lead, Building 8 of Facebook, Jeffery Fowler, President, North America, Farfetch, Mike Karam, Head of Strategy, Laird+Partners, Paavana Kumar, Associate Davis & Gilbert, and Buxton Midyette, VP, Marketing and Promotions, Supima. The theme of the evening was that, technology has and is changing the way people shop, and the brands that are doing it right are prioritizing transparency and authenticity. Click here to learn more or here to watch coverage of the event. With the success of our 2018 Innovation Series in New York, we welcomed our very first Los Angeles Techfluence event in June, “Relationship Marketing – Better Managing Today’s Customer Journey.” The panel, made up of experts from ShoeDazzle, Lime Crime, Optimove, and 7 For All Mankind, and moderated by the CEO and Founder of Trendseeder, focused on the customer journey, personalization, and staying true to your brand through it all. The conversation primarily centered on what’s changed over the years, but one thing all panelists could agree on is that what hasn’t changed is the need for brands to develop an emotional connection with the consumer. Click here to continue reading or listen to the full panel here. In the beginning of July, 24 Seven Talent continued the Techfluence: 2018 Innovation Series with a panel on “Technology and Innovation in Beauty,” filled with networking, delicious bites from Black Barn, and specialty cocktails by Belvedere. Our panelists, the President of Supergoop, Amanda Baldwin, Vice President Marketing of Perfect Corp, Adam Gam,Founder & CEO of Beauty Matter, Kelly Kovack, and Partner at Davis & Gilbert LLP, Brooke Erdos Singer, were joined by Avani Patel, Founder and CEO of Trendseeder, and our moderator for the evening. The discussion ranged from innovating products, to developing apps, to marketing to consumers. Click here to read our recap, or listen to the event in full! Are you interested in attending one of our Techfluence Series events? Sign up to stay in the know of upcoimng events in your area!